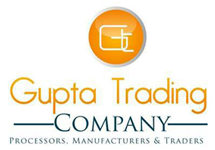 Gupta Trading Company presents itself as the dependable Manufacturer, Exporter & Supplier of high quality Black Pepper Spent. We manufacture Black Pepper Spent after processing high quality Black Pepper. Black Pepper Spent is obtained after the oil has been extracted out from Black Pepper. Our Black Pepper Spent has been used for different purposes.